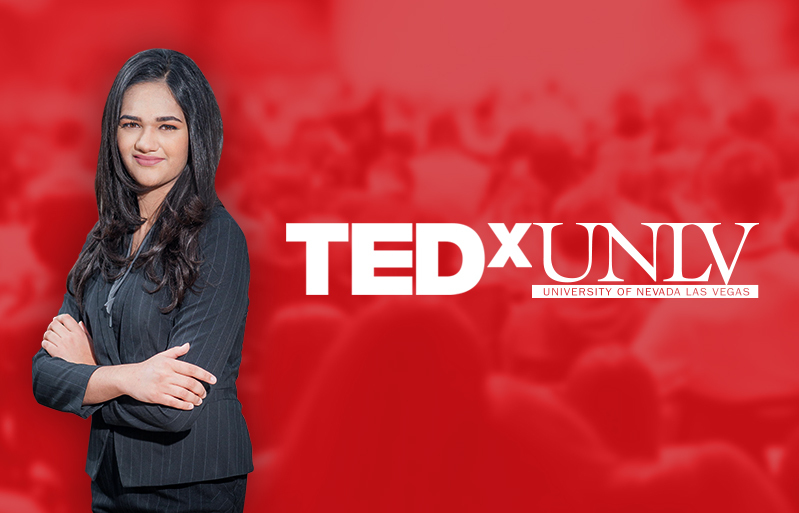 We at RAD would like to congratulate our founder, Radhika Shah, on being chosen to speak at the upcoming TEDxUNLV event on June 22! As one of 17 selected to speak on the theme of “Living in the Extreme,” Radhika will give her speech on maintaining a positive outlook on life despite the extremes that come with living with Autism Spectrum Disorder – both for individuals with the diagnosis and their families. True to the motto of “ideas worth spreading,” TEDxUNLV provides us with an incredible opportunity to share our mission and increase awareness about autism, one of the most prevalent developmental disorders in the world. Despite recent CDC estimates of a record-high prevalence of autism in the United States, we have found a critical lack of general awareness about what Autism Spectrum Disorder is, let alone the numerous misconceptions and half-truths repeated in mainstream society. The TEDxUNLV event is a big step toward creating an understanding and inclusive community for all, and Radhika is excited to share her story at future events to reach as many open eyes and ears as possible. Our work to spread the word does not begin there, however! Last week on June 14th, RAD hosted our first educational workshop at the Shade Tree Women’s Shelter, led by our partner and friend Kirsten López from Brain Solutions, Inc. Using her decades of experience in special education, behavioral therapy, and neuropsychology, Kirsten spoke with Shade Tree staff and volunteers to help them the basics of autism: recognition of signs, proper methods of interaction and communication, crisis strategies and simple tips for better accommodation of families in need. Check back with us to find out more about our upcoming workshop series and how to attend, or how to become involved!